Fine, so I’m working on tips for all of you parents whose babies have rotten-little-devil dispositions. But in the meantime, cute photo alert! 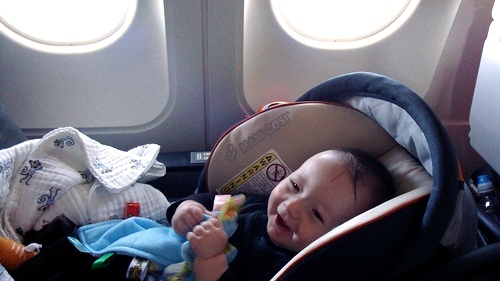 Update: More (legitimate) tips for taking your baby on an airplane here.